Widely available this makes an interesting alternative to the Holga or Diana F+. 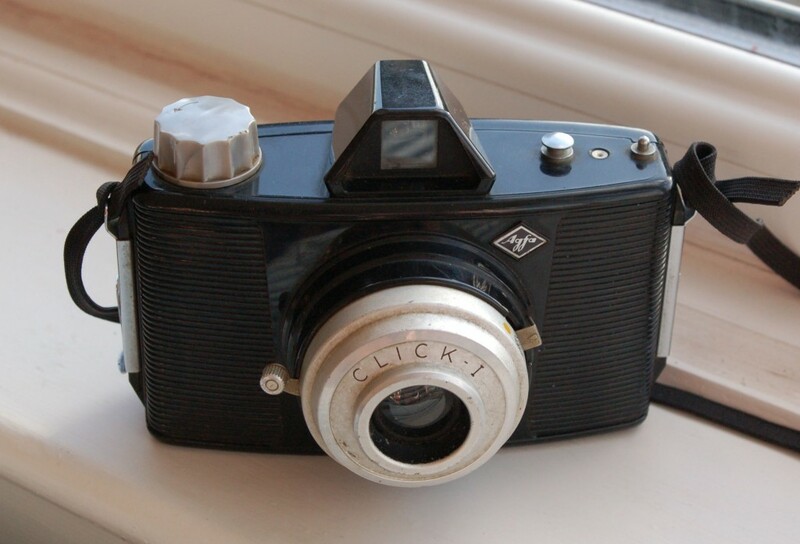 My suspicion is that like the Holga was aimed for China, the Click was intended for the burgeoning home market in Post WWII reconstruction West Germany. Agfa had a good pre and post war reputation and were already making much more advanced cameras like the Stilette 35mm series and the rebooted Isolette 120 folders so both the Click and the slightly earlier Clack seem at odds for a company going for higher markets. However Agfa clearly got the market right and the Click enjoyed a long life even beyond the arrival of the slightly more advanced Agfa Isoly series. Central Hotel, Annan, November 2014. Agfa Click I with Fomapan 100. 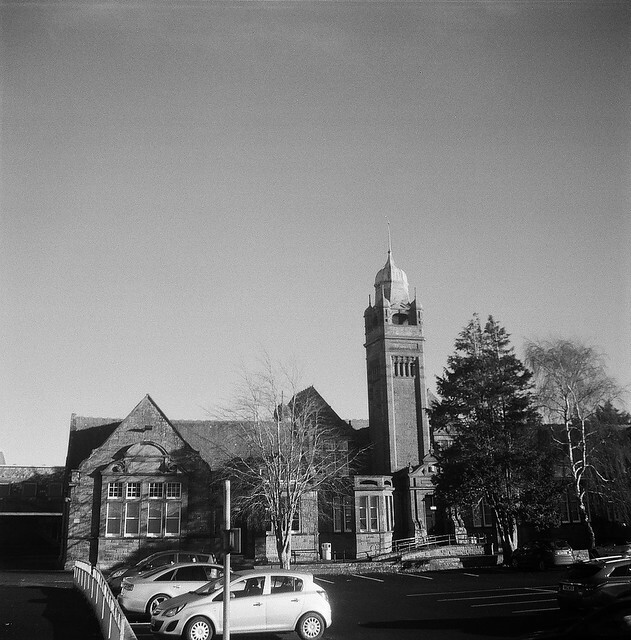 Annan Academy, November 2014. Agfa Click I with Fomapan 100. Away from the flash you have really just 3 user control – the winder knob, shutter and aperture switch. This gives a choice of 2 apertures and a yellow filter (at f/11) setting for B&W (later versions seem to lose the filter but gain an extra f-stop). The shutter of 1/30 with a smallest f/11 on paper would match the manual’s apparent recommendation of DIN 17° (40 ISO) for good conditions. 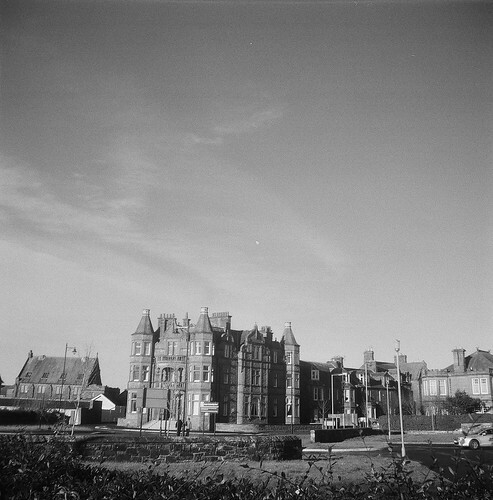 Today thanks to film latitude you’ll probably get away with modern 100 ISO or less negative film. The manual quotes 2m to infinity for focal range and I think the sweet spot is around 5 metres. Loading is familiar to any Holga user. There are 2 clips on the sides to slide off allowing you to remove the back. The camera has a red window for film count but this isn’t shuttered. There is a tripod mount but no options for Bulb setting or cable. Build quality seems good but my clips were going mean I had to use a rubber band to hold the back on. Agfa Click I with Lomography 100CN. Feb 2015. Annan Harbour. Shotwise it actually ain’t that bad for what it is. The camera has a curved plane that makes up for the basic lens. Things are a bit soft (more obvious in colour but have a retro charm). Shots I’ve seen on the Click II do seem a bit sharper. 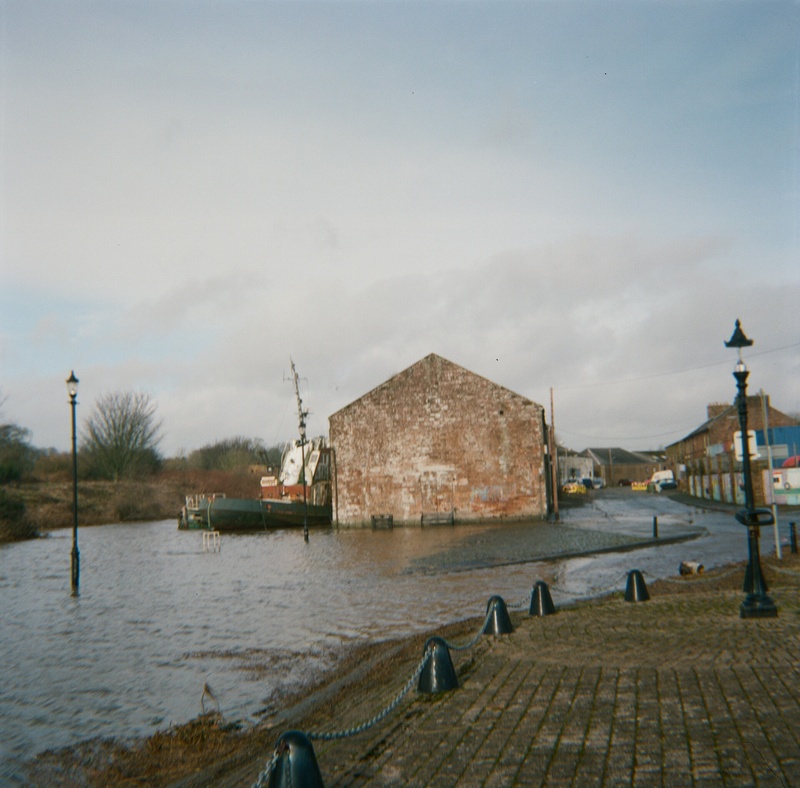 There is a slight barrel distortion but less than the effect you get with a Holga. Good clean simple fun for retro shooters and quite a looker despite its limitations.